“Jesus, for me it’s Jesus”. That’s what I found myself saying a couple of weeks ago at a small group discussion at my church. We were talking about what we would say to someone who had left the faith about why we remain Christian. We live in a world that offers nearly endless forms of religion and spirituality. Why stay a Christian? Jesus, I said, is what Christians have to offer the world. 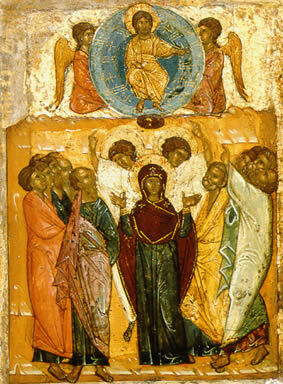 The Incarnation is a uniquely Christian understanding of God. God becomes human and “moves into the neighborhood” (The Message, John 1). The idea that God comes to us, that God becomes one of us is an astounding idea. God is not content to remain far away or to be separate from us. Jesus shows us that God doesn’t hide from us. Jesus shows us that God doesn’t set up barriers or hurdles or walls between us and God. God doesn’t wind up the universe and then watch from afar. God doesn’t reach down from heaven to tweak the system with a miracle or two when things go astray. When we look at Jesus we see the God who lives with us. Who walks with us. Who feeds us. Who comforts us. Who cares for us. Not a superhero, swooping in to rescue us. Not a magician, to fix things. Not a genie to grant our wishes. No, we see Jesus living and bringing the reign of God in surprising and perplexing ways. The conversation around our table was rich. We talked about Jesus and about the kingdom of God and community and justice and more. So if someone, say me, asked- what keeps you Christian- what would you say? Posted in Christianity, Jesus, religion, Spirituality. Tagged Christian, Christianity, Religion and Spirituality. Amen! It’s Jesus all the way.. Yes, Jesus! Where else could I go? Where else might we receive peace, love, grace, mercy, strength, hope…. I’d say Jesus because I just read this wonderful post. 😉 … I couldn’t resist. Nonetheless, your answer with its explanation here is down to the core. Well done.